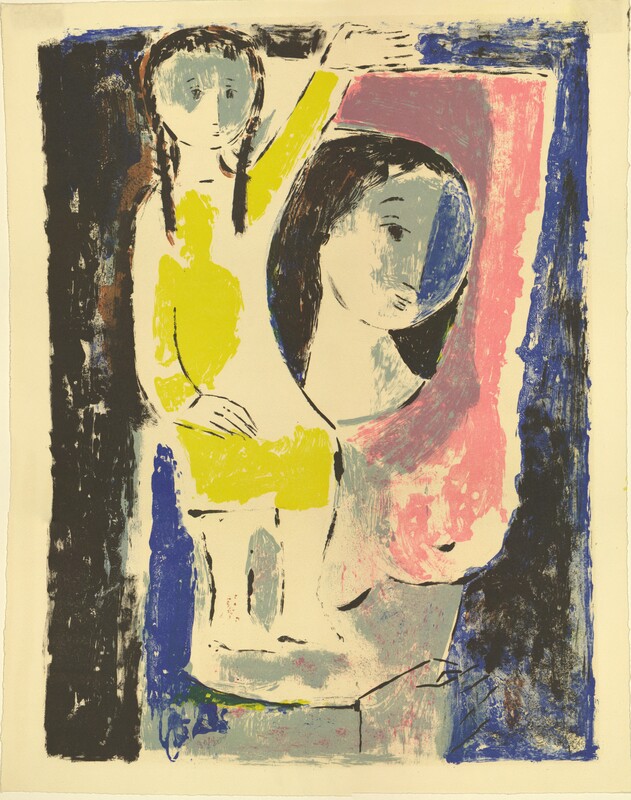 A color lithograph entitled "Maternidad" by Mariano Villalta. 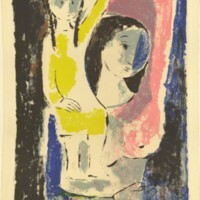 The color lithograph depicts a child sitting on a woman’s shoulder. 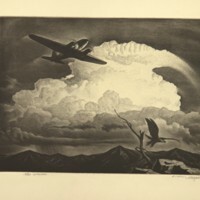 Villalta, Mariano, “Maternidad,” Digital Exhibits, accessed April 23, 2019, https://cuexhibits.wrlc.org/items/show/191.